Hello everyone! Happy Wednesday! Half way through the week! 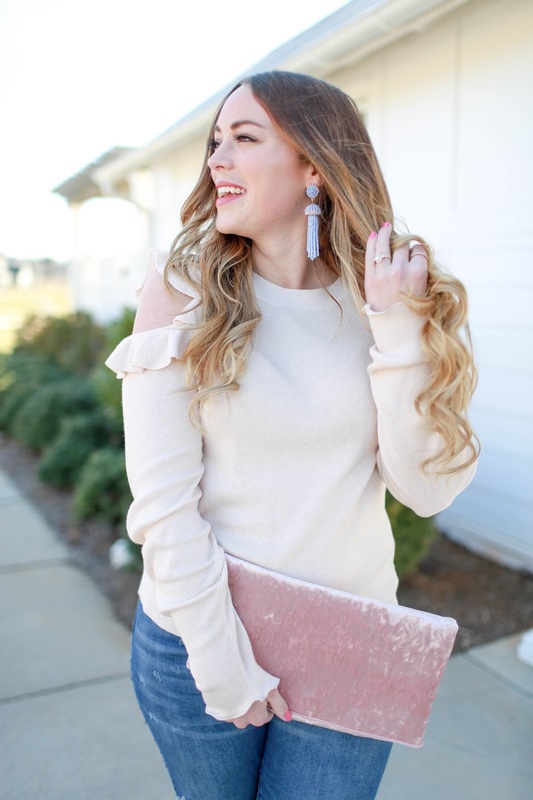 I know I have been wearing a lot of ruffles, cold shoulders and off shoulder tops & dresses lately so I thought I would do a round up of one of these big trends for Spring. Ruffles are always a sweet statement and I love the overall femininity it brings to each outfit. A lot of these tops are statement pieces, I would keep to some blue or white jeans with some hoop earrings or tassel earrings to complete the look. Throw on some wedges and you can be out the door my friend! I have shopped my top favorite retailers and boutiques to bring you a collection of my favorites in the below. Click on any of the images below to shop!